Just ordered a Draw-Tight hitch from a company in the midwest. Customer service said they were to get some on Friday, depending on the snow they were having. Everyone is out of them. It is only $168 with free shipping. Right now just need it for a bike rack, but need hitch wiring for when I take my 4'X5' trailer out. Looking at a few different brands. Can't believe the Rav4, an outdoor advertised SUV, has such a hard way to hook up wiring. My former Hyundai Santa Fe Sport had a connection right at the bottom rear corner of the car. Take off a plastic shield, unplug safety clip, plug in trailer light connection, a few wire ties and 10 min later done. I saw the other company that has the hitch, but $300, yikes. Where did you order your hitch? I tried to order from etrailer and after taking payment they messaged me saying it was gonna take 2 months. I canceled my order. He doesn't have it yet, just ordered it. I just ordered one and will install and use as my user manual states. They said 2 1/2 weeks on April 17th. Hoping... now just need to find wiring that does nor require ripping out the back ! I ordered the Ecohitch because I didn't want to lose any ground clearance. I ordered the Curt wiring harness and will have to cut and splice the wires, but a response on another thread shows this wiring harness that **seems to use** T-connectors for the RAV4. Worth considering it if is true. 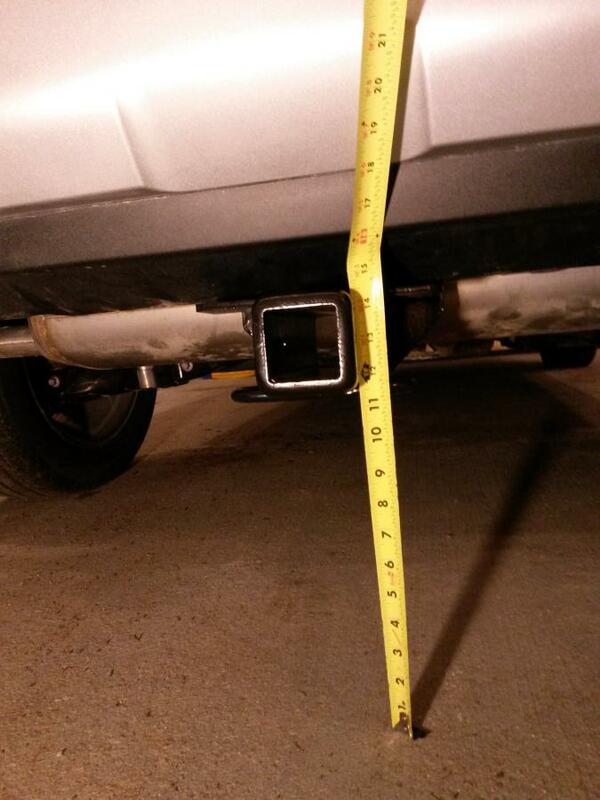 I ordered the Ecohitch because I didn't want to lose any ground clearance. You're not going to loose any ground clearance with any of the currently available hitches, your HV has 8.1" ground clearance, even the Draw-Tite has ~11" of clearance, the more important issue is departure angle, the exhaust tips/fascia are more important to me than the hitch in that scenario, and the slightly lower hitch will keep the tips/fascia being impacted, the higher Ecohitch won't unless you add a hitch skid plate or just a ball mount so it hits first. Go to first new post Wider Brake Pedal ?